Note: This is an old blog post (from July 2014), but it still applies (especially right now). Enjoy. 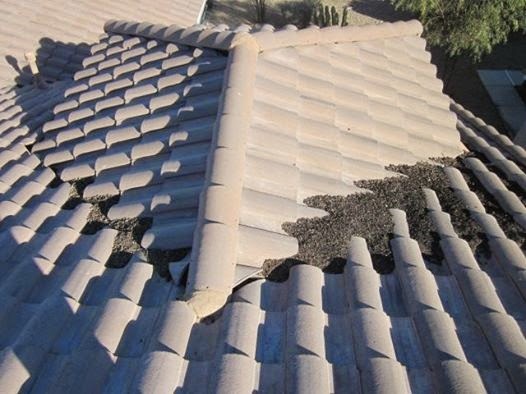 Whether you have a residential or commercial tile roof, shingle roof, flat roof, foam roof, metal roof or wood shake roof, if you live in the Phoenix Metro area (Maricopa County) then regular roof maintenance should be on your to-do list prior to the Monsoon Season. This tile roof customer in Phoenix had a leak inside that could have been prevented by the removal of the bird poop. 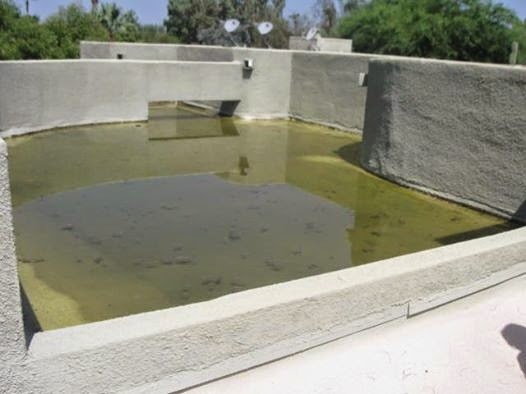 This flat foam roof customer in Scottsdale had a leak and didn’t know that there was 6 inches of ponding water on their roof due to debris clogging the roof drain. The age of the roof will determine when and how often the roof should be inspected. Most roofs under 10 years old should have an inspection done every other year. Roofs over 10 years of age should do it every year. In the Phoenix Metro area (Mesa, Gilbert, Chandler, Tempe, Scottsdale, Glendale) you should have it checked before Monsoon Season (January through May). The wrong time to need roof maintenance is after you have a roof leak. 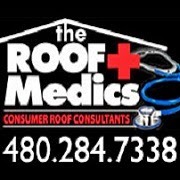 For a roof inspection and all other types of roofing services, contact The Roof Medics at 480-284-7338 or visit us at www.theroofmedics.com.